But maybe you're thinking: where do I even start? Where do I find clients? 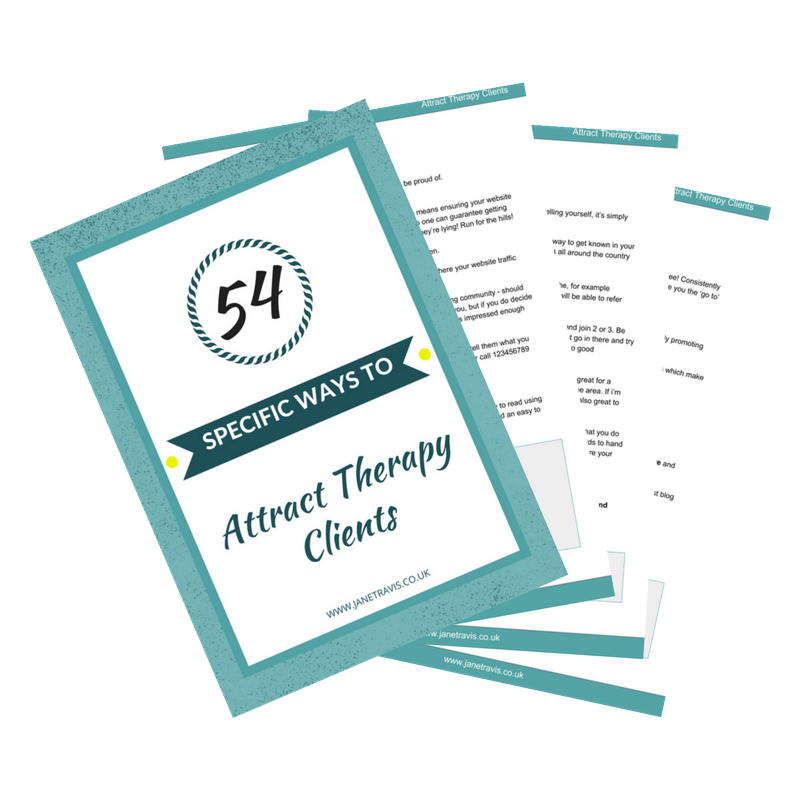 How do I attract them to my practice? Advertising is so expensive! And there are so many other therapists in my area, how can I get noticed? Your business may be full time and needs to deliver as your primary source of income, or it may be part time, intended to fit in around family and other commitments. Whichever it is you want it your business to be as successful as possible, with a full diary, satisfied clients and an income to meet your needs - and not take up every second of the day! I'm here to help you develop the skills, knowledge and confidence which bring you the clients and income you want, enabling you to grow a thriving, profitable and successful therapy business. is it time for you to grow a successful private practice? IT IS? GREAT! WHAT ARE THE NEXT STEPS? If you're inspired to change and ready to move forward in your business, I'd love to work with you.